I love zucchini. 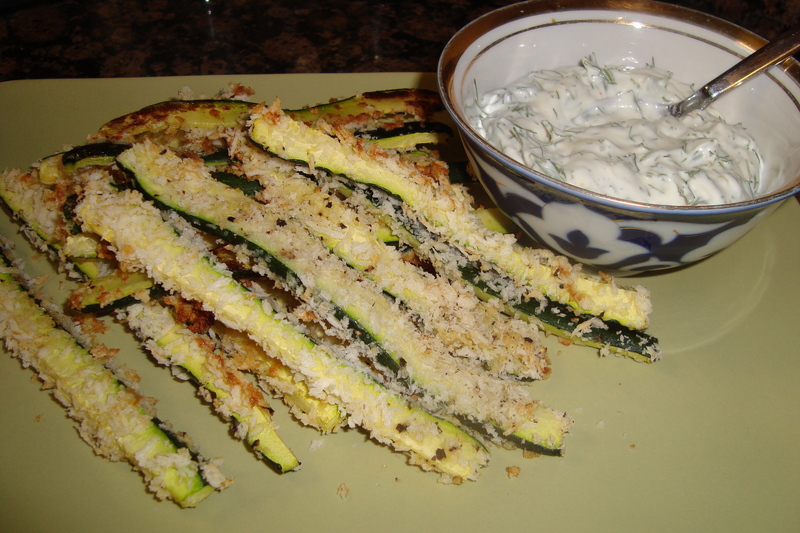 I usually eat it grilled or sautéed, but I wanted a vegetable/french fry substitute to go with our lamb burgers, so I made baked zucchini fries and a dill dipping sauce. 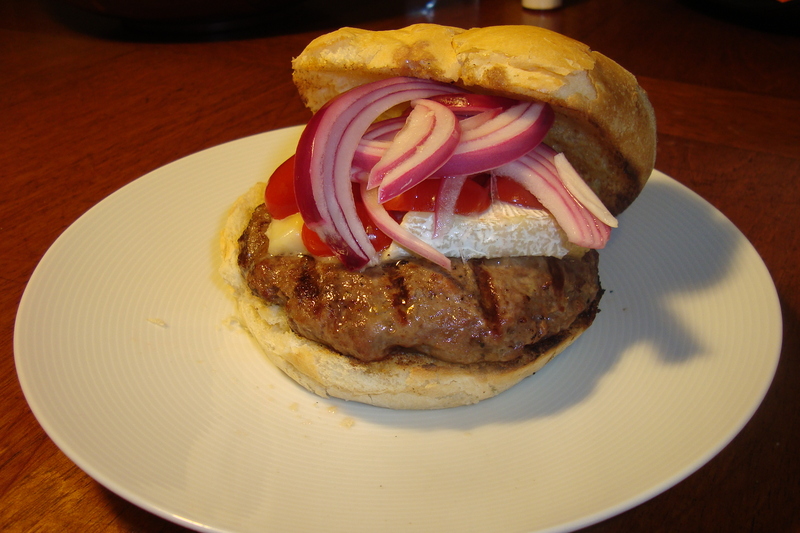 The burgers were delicious, too! I used this recipe from Steamy Kitchen. Preheat the oven to 425 degrees F. Spray a baking sheet with nonstick cooking spray. Dry the zucchini slices with paper towels. Beat the egg in a shallow bowl. On a separate plate, combine the panko, salt, and pepper. Dip the zucchini first in the egg, shaking off any excess moisture. 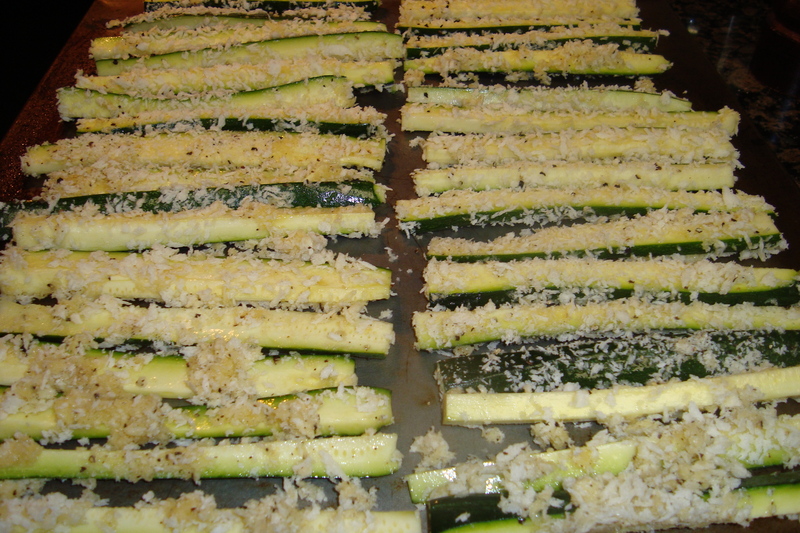 Then lightly roll the zucchini in the panko mixture, and place on the baking sheet in a single layer. Bake or 20-25 minutes or until browned. To make the dipping sauce, combine all of the ingredients in a small bowl. Ooh! These look yummy!!!!! Will have to try. Mmm mmm mmm.